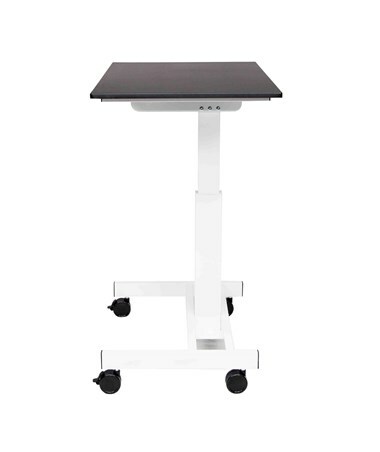 The Luxor 40" Single Column Crank Stand Up Desk is a sturdy single column mobile desk with a flexible height. 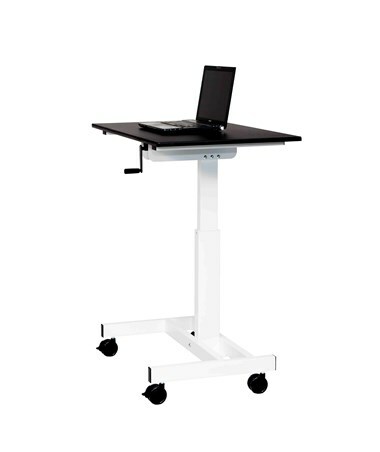 The single column design makes the desk space conserving and provides an ample leg room when sitting. 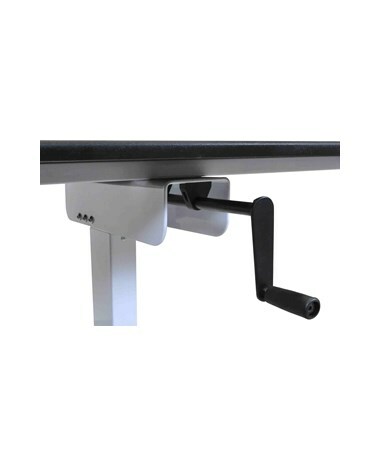 A built-in central crank is included for effortless adjustments of height from 30 to 45.25 inches. 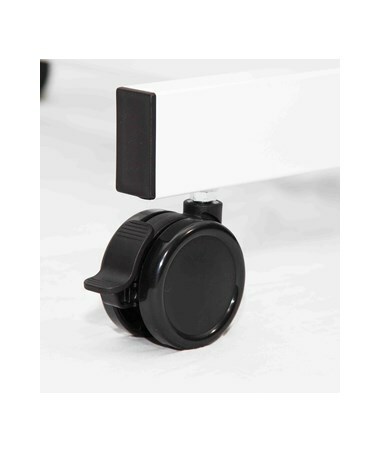 Also included are four 3-inch casters and two of these casters have locking brakes. 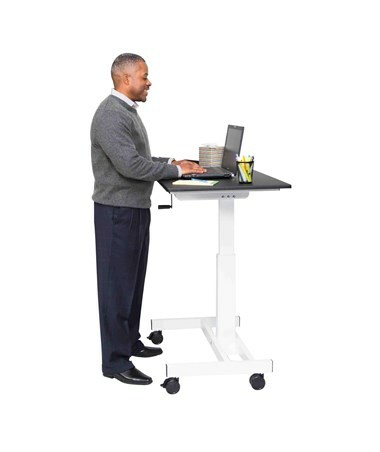 This standing desk has a wide work surface ideal for a laptop or a desktop computer with enough room for a monitor, keyboard, and mouse. Its frames are made of steel with a powder coat finish and its work surface is made of wood. 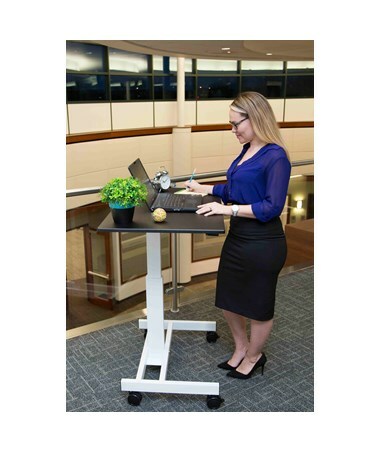 It is easy to assemble and all assembly tools and hardware are included. 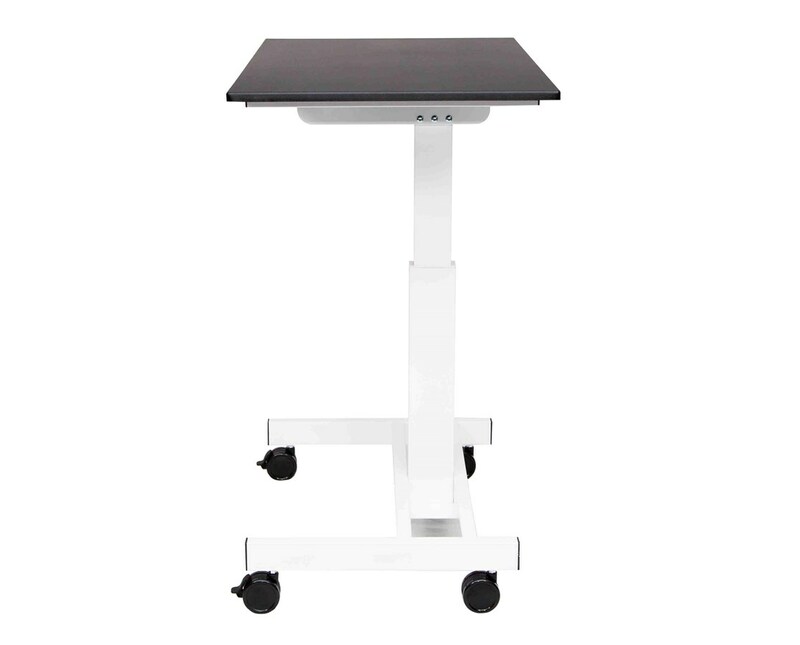 This desk also meets ANSI/BIFMA furniture sustainability standards. Work Surface Height 30" to 45.25"